An apartment building dedicated to giving homeless families a new start is preparing to open its doors to residents. 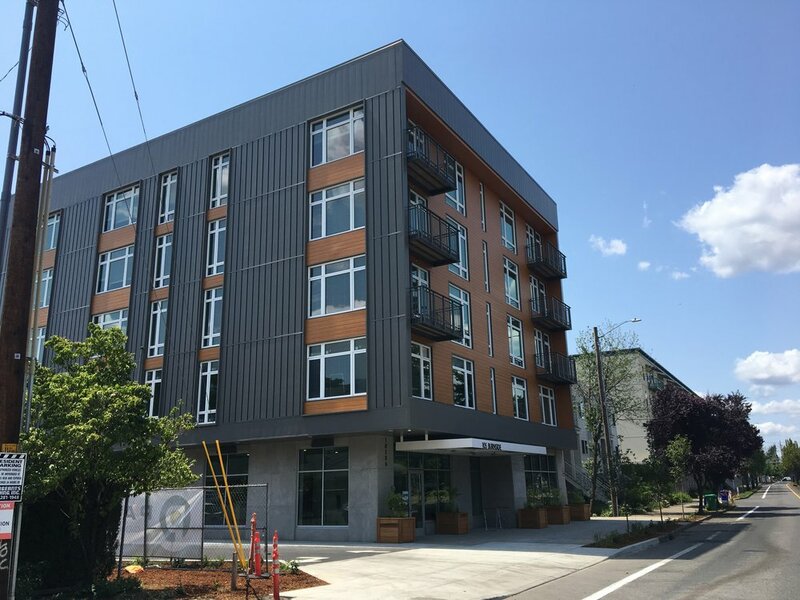 The brand-new building on 105th Avenue and E. Burnside Street in East Portland’s Hazelwood neighborhood offers 51 apartments, including 24 large two-bedroom units, and on-site supportive services. As many as 167 people will soon have a new home there, located on the Max line with nearby access to work, school, and surrounded by support. Sixteen of the larger apartments will be leased to formerly homeless families through Multnomah County’s Homeless Family Mobile Housing Team—a collaborative of nonprofits and culturally specific service agencies led by JOIN. Nine of these units will provide Supportive Housing for families with wrap-around services provided on-site by JOIN and its partners. Portland City Council approved the purchase in June. Families are expected to begin moving in later this Summer and early Fall.